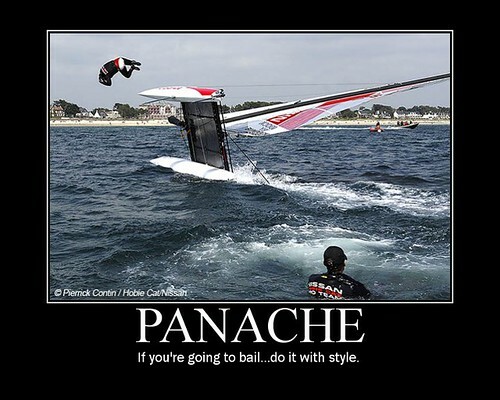 I live in central Alabama, have sailed Lake Martin and usually go to the beach in the Florida panhandle once a year. I've only had my boat for a little over a year now, so I've taken it to the beach once for a week this past August. Sailed Choctawhatchee bay and Rocky bayou in Niceville, Florida where I grew up. 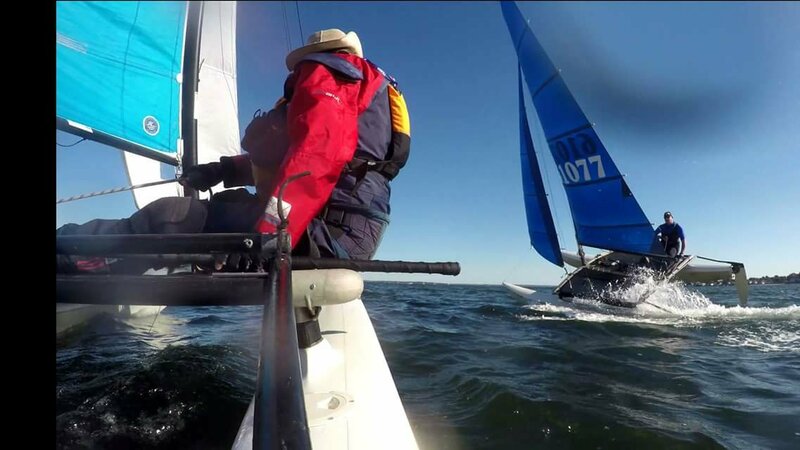 It was a blast sailing in my old home waters again. 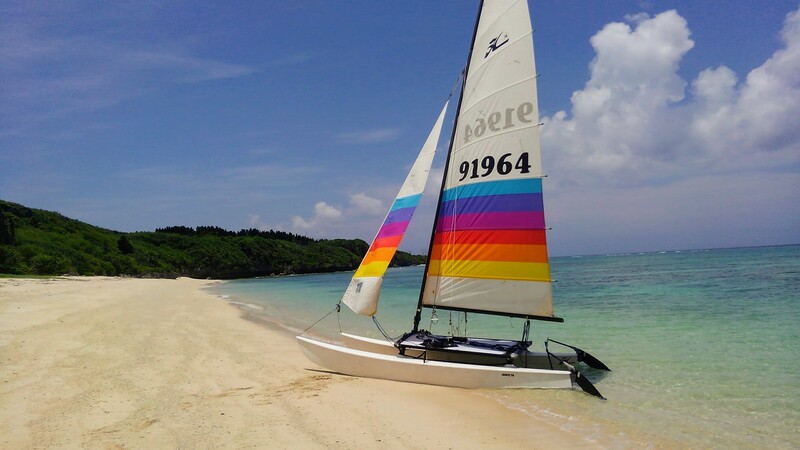 It would be great to sail in the Caribbean for sure, warm all year round and clear water, that would be paradise!!! 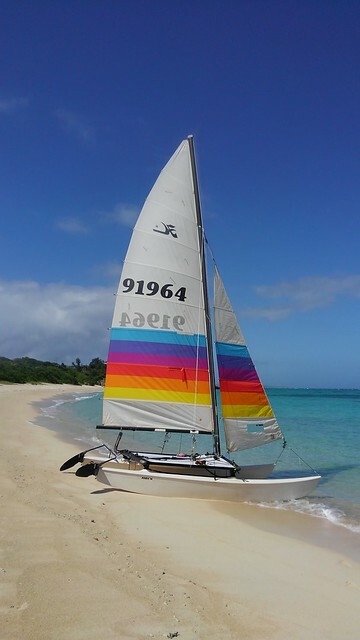 1981 Hobie 16 Tequila Sunrise "Tequila Cat"
Nice looking boat. 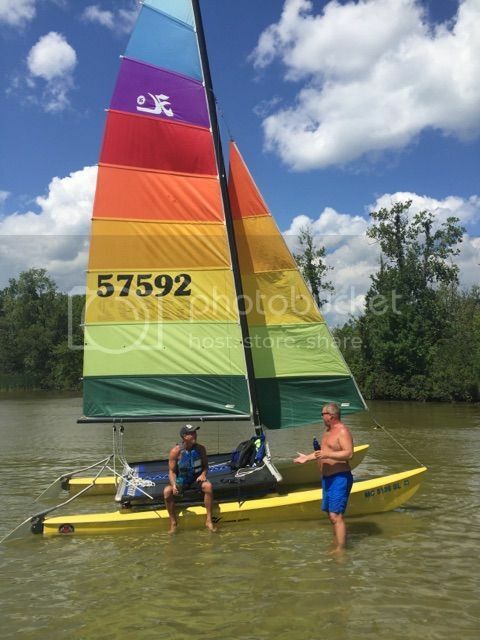 Glad to see I'm not the only one still using the old Seaway 5:1 mainsheet system. You're killin' me. I bought my first 16 in '81. It was a Tequila Sunrise, sail # 59508. I miss that boat. 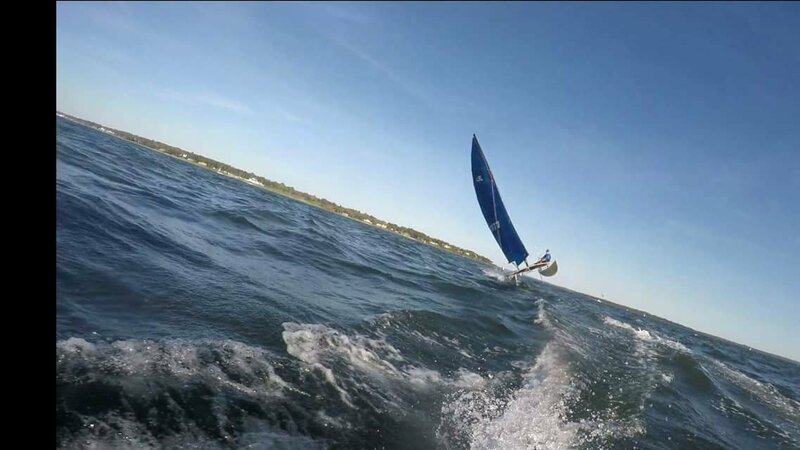 Your sails look like they're in pretty good shape. 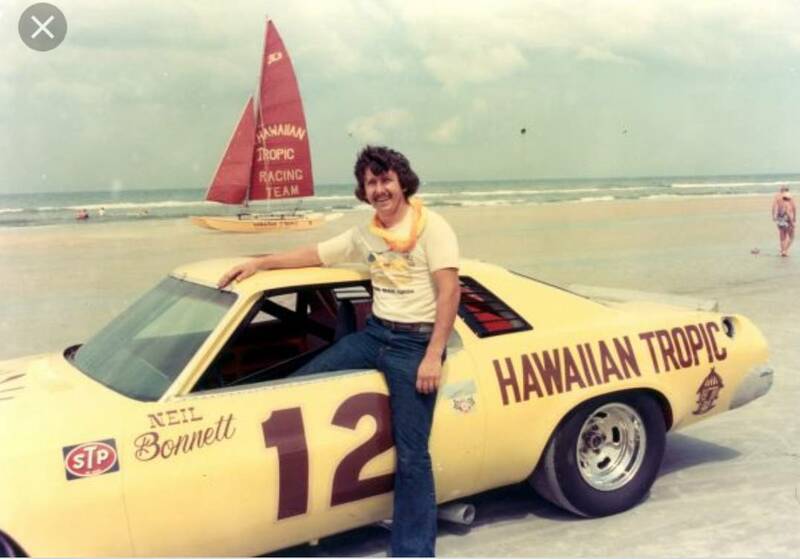 The Daytona 500 was yesterday and I was looking up vintage race cars from the 70's and came across this Neil Bonnett Hawaiian Tropic car and look what was sitting on the beach behind it!!! Hello from Okinawa, Japan. Had the 16 for a couple of years now, started on a 14 which I rescued from being typhoon damaged (flew off its trailer on the dock, had holes punched through the hulls and the owner wanted top get rid of it...hello!). Finally got a hold of the 16 - not many around here though a few pass between military members as they rotate in and out of here now and again. Put the 14 on a south facing shore to keep out of the winter northerlies and go out trolling for tuna in the bay. The 16 is getting some great adventures, out from the northern area of Okinawa. Over to nearby islands or just hooning around inside the reef. Nice looking H16. 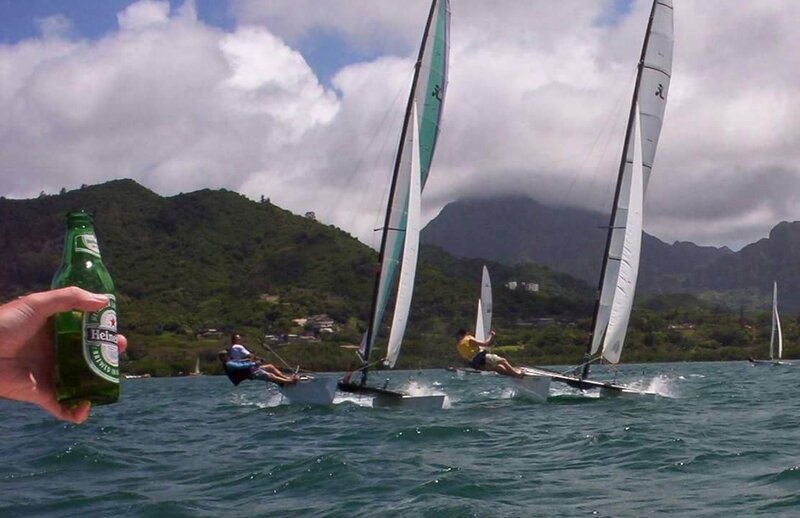 Are your rudders EPO's? Thanks, yes they are EPOs. I think the boat is a hodgepodge of bits from various 16s that were used at Kadena Marina by MWR (Marine Welfare and Recreation). When I was looking it over to buy I met with a very interesting guy named Delane who had some previous knowledge of it, or bits of it, as he used to work at the marina. 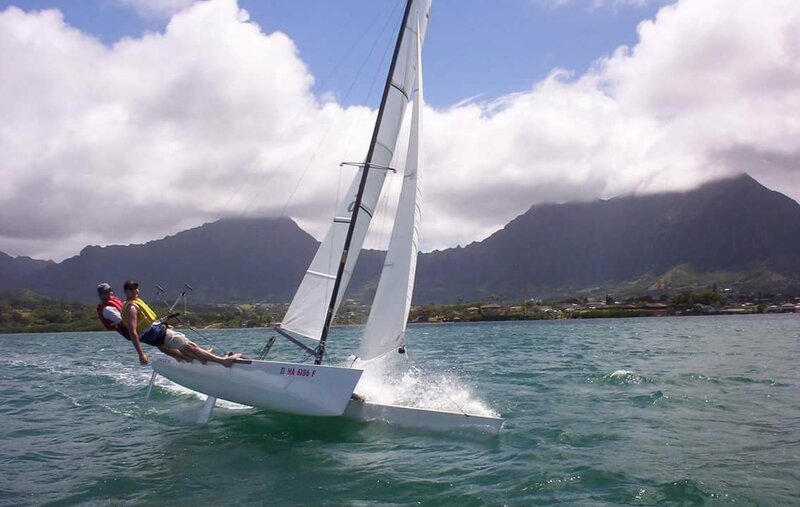 He was putting together a trimaran from a monohull and a couple of Hobie 18 hulls in the marina next to the 16. 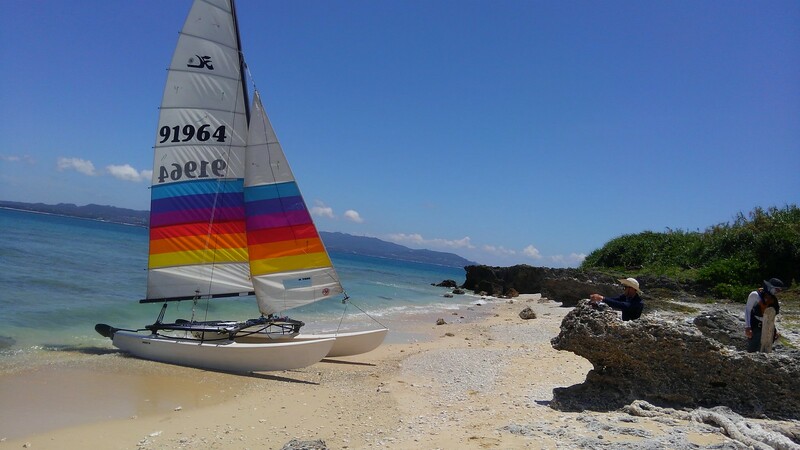 He even appeared in a Hobie Hotline in an account of a circumnavigation of Okinawa in the 80s. 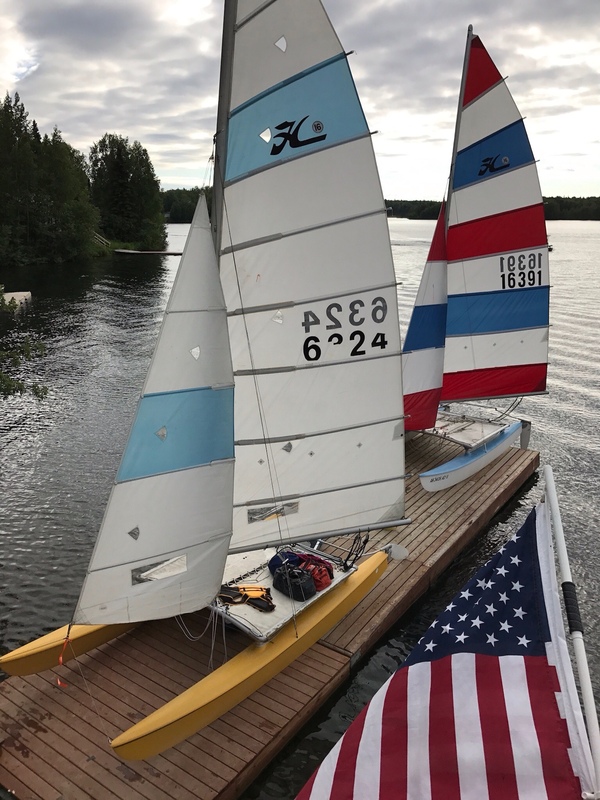 A couple of our hobie 16's. I have two others but one is a parts boat and the other is pretty tired. Previous owner claimed late 80s boat (hull id far too painted over to see), but sails would imply otherwise. Kept in amazing shape regardless.